The summer truffle is widely used to flavour a number of Italian specialities as it is here with this delicious saucisson with summer truffles. 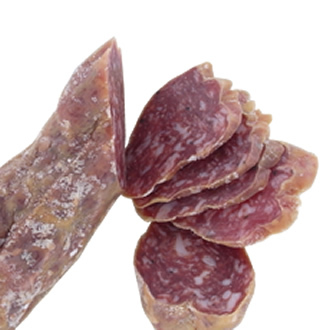 Use: Perfect with an aperitif or on a deli platter. Can also be served Italian-style accompanied with grilled vegetables. Ingredients: pork, salt, spices, summer truffle (Tuber Aestivum).